A loan of $1,500 helped to buy a small mill to grind coffee, so can continue earning income to fund his children's education. Willian completed high school and is married. His wife does housework, and they have 4 children, two of which are in university, one in high school, and one in elementary school. 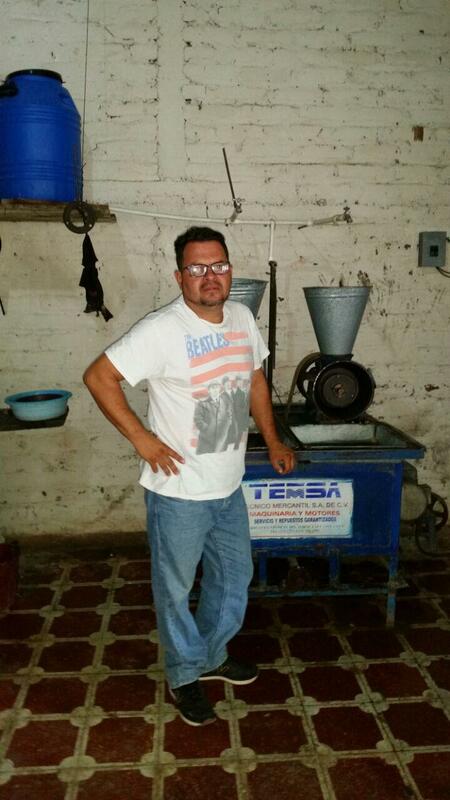 Willian has two corn mills, and he has been offering his services for ten years. A friend encouraged him to start his business. Previously, he worked as a motorcyclist. He has one mill at home in his rural community, and the other in town. He works from 5:00 in the morning until 12:00 in the afternoon. He will use the loan to buy a small mill for grinding coffee, so can continue earning income to fund his children's education. Additionally, it will allow him to improve his business and get more customers. He would like to expand his business and have good equipment for work. This way he will be able to generate more income and continue supporting his children in their studies. Willian sacó sus estudios hasta bachillerato, está casado y su esposa se dedica a los oficios del hogar. Tienen 4 hijos de los cuales dos en la universidad, uno en bachillerato y uno en la escuela. Willian tiene dos molinos de nixtamal con los cuales presta servicios desde hace 10 años. Un amigo lo animó a que emprendiera este negocio. Antes trabajaba como motorista. Un molino lo tiene en casa en su cantón y el otro en el pueblo. Trabaja de 5:00 de la mañana hasta las 12:00 del mediodía. El financiamiento lo usará para comprar un molino pequeño para moler café, así seguirá generando ingresos para los estudios de sus hijos. Además, esto le permitirá avanzar con el trabajo y ganar más clientes. Él quiere aumentar su negocio y tener buen equipo de trabajo. De esa manera podrá generar más ingresos y seguirá apoyando a sus hijos para que estudien. It gives opportunity to families living in high risk areas of El Salvador. This loan gives entrepreneurs in the most dangerous areas of El Salvador access to credit to improve their businesses. As one of the most violent countries in the world, access to capital in conflict areas of El Salvador is non-existent. By supporting this loan, you are giving these vulnerable business owners the chance to improve their quality of life and providing opportunity to their communities.